Did you know that more than 30,000 businesses in Australia have phone names? What is more is that the number is steadily increasing every day. Just recently, more than a good couple of advertisers in good old Oz are now using either 1300 or 1800 phone names. If you want your piece of the pie, then we have some good news for you! 1300EasyDial can help you out. The list goes on and on. There is simply no mistaken that using phone names works every single time. One way to make a name for yourself is to brand your company name using a phone name. It truly markets itself in so many ways like you would never imagine. Just look at the list of business who are already on board – 1300 FLOWER, 1300 DOOR FRAME, 1800 WESTPAC, 1800 MYGUTTER, and so forth. Can you begin to see why Australian business owners want in. This is exactly why they are contacting companies like 1300EasyDial to get on board while there is still a chance for a good phone name. Each advertising AUD you spend will pay for itself over and over again. 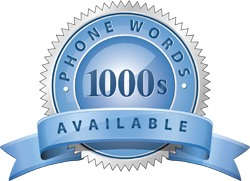 Using a Phone Name is much cheaper than advertising your small business using phone directories or your local newspaper. You will be stunned to see the kind of response rate you’ll get. Another often talked about benefit is that you will stand head above shoulders among your competitors when using phone names. The reason is that your customers do not have to look you up. They just have to remember 1300 followed by your business name. It is as easy as that! Who doesn’t want to generate more calls by simply using a phone name to attract new customers? It is far easier to recall than trying to get your head around numeric phone numbers that you might have scribbled on a piece of paper. Allow 1300EasyDial to help you out when looking to use phone names for your small business. They will have you up and running in no time.